Get comprehensive insight into AnyProtect Online Backup tool, find out why it’s considered potentially unwanted and learn how it can be removed from a computer. The application called AnyProtect is two-faced. On the one hand, it seems like a neat backup tool with sleek and streamlined graphical user interface. When looked at from a security perspective, though, the program exhibits malicious characteristics as misleading tactics prevail in its activity. Furthermore, overall user feedback is far from favorable because people are frustrated by the app’s constant popups, exaggerated risk reports and nagging registration recommendations. 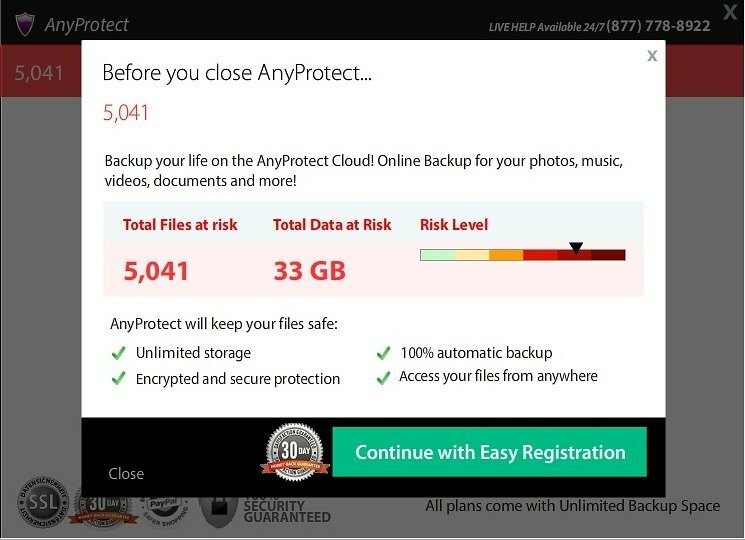 AnyProtect offers users to back up their files in the cloud, with unlimited backup space allegedly provided for all plans. But once this tool is installed, the computer turns into some sort of commercial environment for product promotion. It’s noteworthy that the setup itself is often associated with other software, meaning that the installer infiltrates PCs along with freeware – file downloaders most of the time. The applications that tend to accompany AnyProtect via such scheme include VO Package, MyPC Backup and the like. 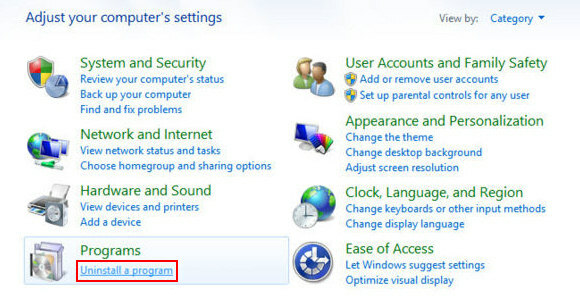 Overall, the appearance of this solution on computers is very often unexpected as the users hardly ever clearly opt into installing it. The installation is followed by the Programs\AnyProtect PC Backup folder getting added to the system. 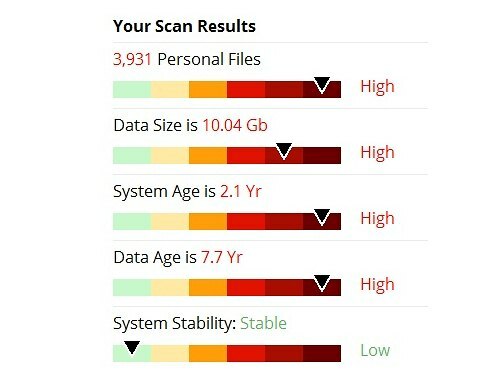 AnyProtect immediately starts a scan to purportedly retrieve statistics of the system data risk-wise. The app always comes up with a troubling report, where the amount of information at risk is claimed to be enormous. Closing these popups is quite a pain because each time you do so AnyProtect displays a registration offer. Opting out in this case is counterintuitive, with the button to close the screen being located in an inconspicuous place. The utility plays an obnoxious promotional audio while running, which you cannot stop as there’s no settings button available, so you have to exit the program to make this “effect” discontinue. A fairly interesting thing to point out is the mysterious AnyProtect Risk Index, which is how the program rates the safety of one’s information. Criteria such as system age and data age are particularly questionable. Also, it’s unclear what algorithm the app uses to calculate the risk – it seems the level is high for every machine, while system stability is okay. As a bottom line, AnyProtect Online Backup is a program that offers the right services while using the wrong marketing tactics. The tool introduces the risk index which is obviously set to be high at all times. It annoys users with screens popping up off and on, which insist on the customer’s choosing the plan and paying for registration (59.99 USD for 1 PC). The stealthy installation, which is often the case, plus the above side effects make users want to get rid of AnyProtect as soon as possible. When the software returns a list of malicious and potentially unsafe items found on the PC, select Fix Threats in order to have the AnyProtect Online Backup app uninstalled from your machine. An additional virtue of this process is the elimination of other threats that may be active in the background. In the event you restricted your removal to using the respective Control Panel feature only, it’s recommended to repeatedly check the system for AnyProtect components which are likely to still be there. Rescan your system with trusted security suite to make sure malware extermination has been successful.